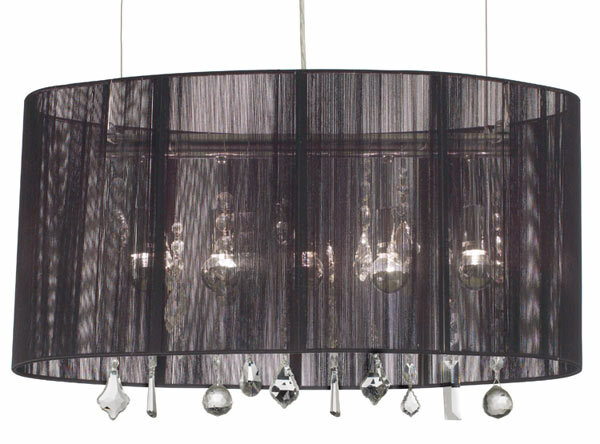 Home > LIGHTING > Ceiling Lights > Bora Pendant 33.5"
Bora Pendant is a truly stunning piece. 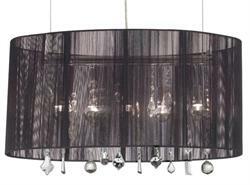 Bora comes in your choice of black or white gauze fabric shade over a clear crystal chandelier on the inside. This light fixture uses 7E 12 25 watt bulbs and is available with adjustable stainless steel cables.